A 22-year-old man has died after an accident on the A27 at the weekend. Police say that shortly after 10.30pm on Sunday (November 18) emergency services were called to the A27 Polegate bypass westbound, some 300 metres from the A22 Cophall Roundabout. A silver BMW Z3 sports car had left the road and collided with a road sign. 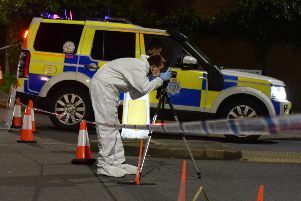 Sadly, its sole occupant, a 22-year-old man from Eastbourne, suffered fatal injuries. The A27 dual carriageway was closed to traffic between the Cophall and Dittons roundabouts until 5.44am on Monday (November 19) while the incident was dealt with. No other vehicle was involved but police wish to talk to anyone who saw what happened, who may have any relevant dash-cam footage or who noticed the BMW being driven shortly before the crash. They are asked to contact officers online or call 101, quoting Operation Governor, as soon as possible.